This uPVC Mini-Soccer goal measures 3.6Mx 1.8M (12’x6′) and is made from 68mm U.V. stabilised uPVC with a three section crossbar and ground back bar , enabling the goal to fit into our 1.5m carry bag (available separately).This uPVC Mini Soccer Goal has more sections and this does mean it will take a little more time to assemble than a single section crossbar version that we offer. see related products below. Conforms to the British standard BS 8462. The Football Association recommended size for Mini-Soccer. The uPVC mini soccer goal has the net support stanchions that lock in place not just pushed into a hole like Samba Goals. A superior top quality value for money British product that is, functional, easy to use and competitively priced. Specially strengthened corner brackets used on each corner of the goal show the strong wall thickness and reinforcing which is one of the reasons we are able to provide extended guarantees. By reducing the sections you can create eight foot or four foot long goalposts and by using the larger section upright you can make four foot high goalpost frames. 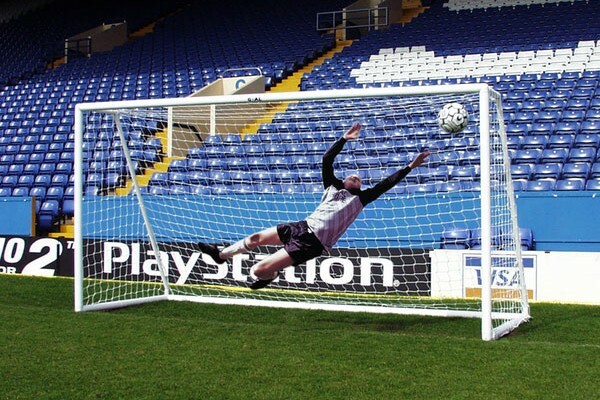 Multi sizing goals only provide one net so on smaller frames the net will need to be folded in and tied together or you can purchase the correct size nets to fit the smaller goalpost size. Patented Arrowhead net fixings exlusive to ITSAGOAL to enable net to be quickly and easily attached behind the post , not pulled around the front of the posts and clipped as with every other type of uPVC goal. Length of goalpost run back 153cm. 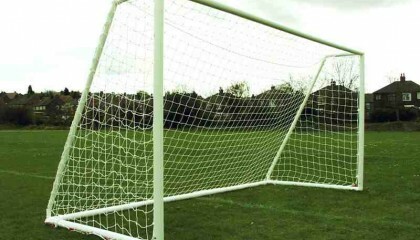 All other uPVC goals wrap nets underneath the ground frame and use clips to hold the net. This makes the net wear out on the floor and eventually you need to replace the net. 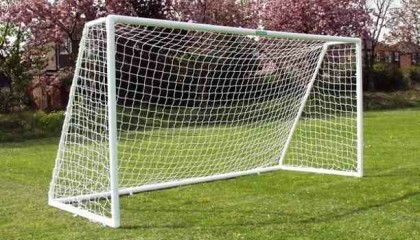 The Itsa Goal uPVC mini soccer goal has ground frame net fixings so the nets attached to the top side of the grounf frame and do not wrap around and wear out, so will last you much longer. Top quality net that out performs the rest. Made in white polyethylene cord (Knotted & braided) for maximum durability. 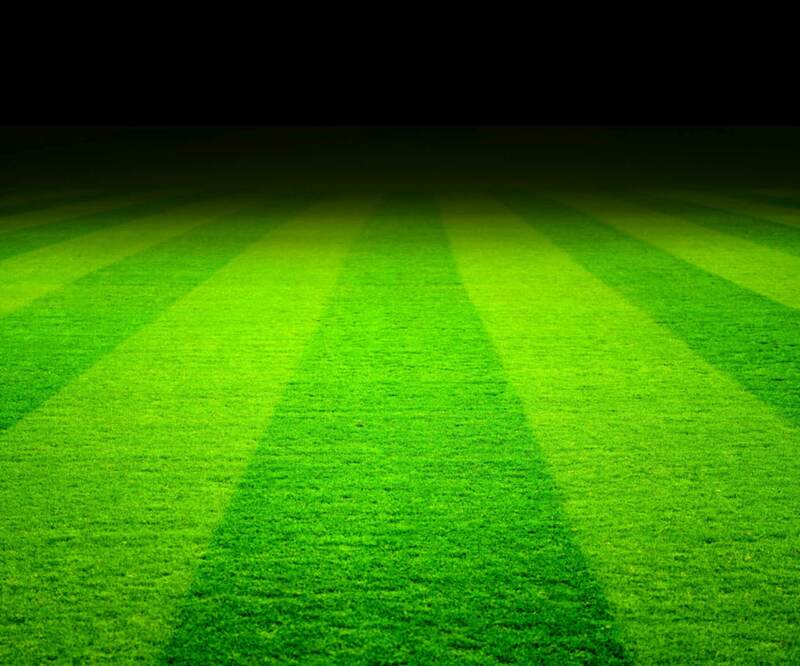 The same quality as used on full size goals so will last. 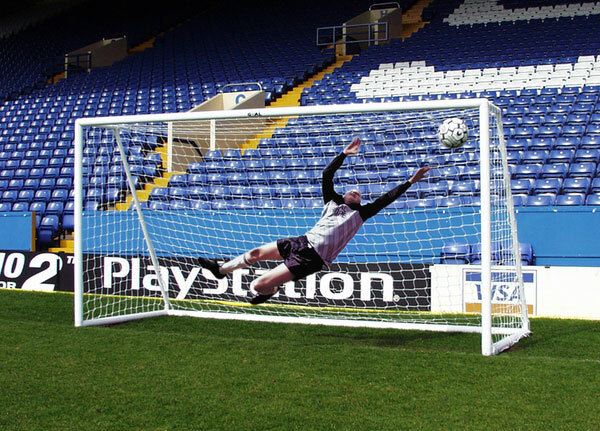 Not to be confused with cheaper goal nets. 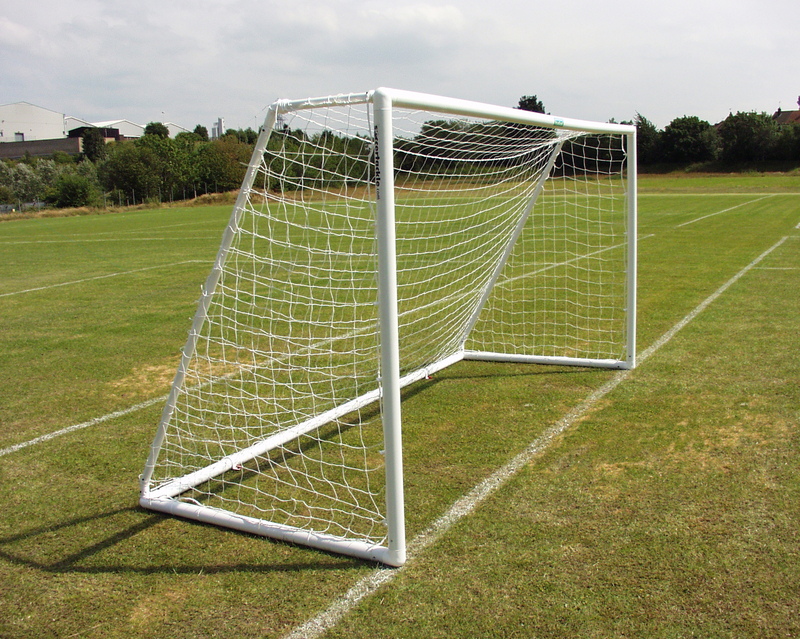 7v7 plastic goalpost assembly – To view a copy of the goalpost fitting instructions click here. PORTABLE UPVC MINI SOCCER GOAL This is a really impressive football goal after our last Samba goal that did not last very long. It has a great design and looks like the real thing. The boys love it. Nylon nets are much stronger than polyethylene version and will last much longer than toy nets. Full spare parts after service, We look after our Customers. Multi surface Mini Soccer Goal 12' x 6' with a two section crossbar and ground back bar, enabling the goal to fit into our 2m carry bag. Less sections than a three section crossbar version goal so faster to assemble.